With excitement of anew governor and the possibility of real justice, FFUP received many mnany release requests from old law prisoners long long overdue for release and needed back in their communities. Below are links to some old blogs featuring parole eligible prisoners and new attempts at trying to post newly arrived case sumaries in a way that is releavant and will be read. These posts will be changing radically in the near future as we get help and we begin to figure out how to give these too long incarcerated people an effective voice. this is an overview showing examples of some of the most absurd cases> WHat are we holding these people? DOes revenge ever end? Blog of kids waived into adult court- here are links to many individual blog of juvenles also. 5)there are also many individual blogs of writers , artist and and litigators who are parole eligible. ALL OLD Law prisoner below have these things in common. 1) ALL are eligible for release. 3) they were all imprisoned 2000 or earlier and have been in prison at least 18 years. 5) They were all eligible for parole after serving 25 % of their sentence, a person with a life sentence being eligible after 12 1/2 years. 6) they spent many years in prison before TIS came in and took advantage of many programs including getting college degrees while in prions- all cut when TIS arrived and the prison boom happened. I got sentenced to 20 years in prison for selling drugs back in 2000. Of the 20 years I have 23 months left. In a few weeks I'm going to file for me 85% .If I get it, I would be getting deported back to Mexico. I was 18 years old when I came to prison. the judge that sentenced me gave me boot camp,or minimum! I was in medium custody for 10 years. I got a ticket and that sent me here. I got okayed to medium custody 9 months ago but it is taking a long time to get to medium because of the over crowding of the prisons. 5. Offense description: I was charged and convicted of two counts of burglary, two counts of robbery and two counts of false imprisonment as a repeater on each counts. 10. Programs taken: I completed Thinking For A Change (CGIP) August 31, 2016. However, I am unable to enroll in my last program (AODA) due to sentence structure. Plus, FLCI does not offer the program. At my last parole hearing the commissioner stated that he will recommend that I be transferred to a facility that offers AODA. 11. Number of parole hearings/ number and length of deferments: I waived my initial parole hearing that would have been in April of 2014 because I was hoping for different outcome in court, but unfortunately that didn't happen. However, I was given a 24 month deferment. 12. Official reason for denial/deferment: The Parole chairman indicated that due to the nature of my crimes more prison time in the form of punishment was necessary. Yet, very little consideration was given toward my excellent prison conduct. Within the next couple of years I will be 60 years old and I will have 30 years in prison. 13. Do you have a verifiable support system? (Release support needs): YES. I have two sons and a daughter who all are willing to provide me with a place to live. One of my son recently, purchased a house so that I will have a place to live whenever I am released on parole. We also have plans to start a mechanic business together. Moreover, I also have other family members who offer a lot of support. Vocational Building Services--this particular program covers/consist of welding, plumbing,carpentry,masonry, electricity, blueprint reading & writing, human relations, AODA level 1, ; Associates Degree in Early Childhood Education; Ordain Minister. (These are programs that I took in the Department of Corrections). Also Computer Literacy and Parenting. 7)Number of Parole Hearings and the Length of Deferments? has never been to a parole hearing but would love to go to them and show how he is not the young clueless kid he was( summed). 8) verifiable support: daughter, 2 grandchildren, 14 siblings, 2 cousins and an uncle who are business owners, my Spiritual Advisor. 9)My Release Support needs are just AODA level 5B, and to just continue with my Mental Health Recovery. My co-defendant and I went to sell marijuana to the victim. My co-defendant went out to the car to get the marijuana (Unbeknownst to me, he came back into the house with a shotgun and shot the victim.) While leaving the scene, I told him that my fingerprints were in the house, so we turned around and he set the house on fire to cover our tracks. I admitted my part in the crime. I met bail and was in the community for eight months between the bail hearing and sentencing. The judge did not consider me a danger to the community at that time, he sentenced ma to life with "'a pardon eligibility date of eighteen (18) years, believing that was sufficient time for punishment. 1. Insufficient time served for punishment. 2. An unreasonable risk to the public. 3. Program participation has not been satisfactory (They, will not offer me the only program I need - Substance Abuse II - until the parole board endorses me to take It.). On my own, I did Substance Abuse I.
I will see the Parole Commission for the third time in May of 2021, when I will have served twenty-five (25) years - seven (7) years past what my sentencing judge considered sufficient time for punishment. The Wisconsin Department of Corrections continues to state that my incarceration adjustment is positive, with no abuses or violent behavior, and that my Risk Scores and Risk Levels to the community are all LOW, as measured by its COMPAS Program. unreasonable risk to the public? I was found guilty of 1st degree intentional murder in the first half of a bifurcated (Not Guilty and Not Guilty by Reason of Mental Disease or Defect - NGI) trial. This was an accident, but my counsel insisted on my entering a MGI plea. There was no "intent" to commit murder. I was sleeping when my wife came home. How did I know she would go into the garage first, before going into the house? intubation of the breathing tube. The tube was placed in her throat into her stomach instead of into her trachea (lungs). Nancy Schultz did not die of carbon monoxide asphyxiation; she died of plain suffocation from improper intubation, a new autopsy report should be ordered and conducted, independently, by someone other than a student of pathology (the study of disease). I could not refute the "intent" element because it was a bifurcated trial - that evidence is presented in the second phase of trial. I withdrew my plea before the second phase began because it was an accident, period, as I testified to during the first phase. However, the Court refused to correct my Judgment of Conviction (the document that states my plea, the jury verdict, and the sentence) to what actually happened in Court - i.e. that I was found guilty in the first half of an MGI trial and that I withdrew my plea before the second phase began. reflect what actually happened in Court? 11/22/16 9/9/14 8/23/11 7/29/09 7/17/07 8/2/05 7/30/03 4/23/99 from--the-Chairperson. date and age at incarceration 7 18 95; 18 y.o. Offense description: I went with a friend to a female house he was hooking with We get there and another guy who I guess was dating her, was there with a few friends. He told us to leave and told my guy to stay away from his girl. My friends called the young lady once we got back to the spot. She told my friend that her and the other guy is broken up, so to come back over. So 3 of us go back there this time. My friend and the other guy got into it, me and another guy shot the guy, unfortunately Curtis did not survive. My names is Terrell Thomas, I am 42 years old and was 18 when I committed my crime, being arrested in July, 1995. …I will be the first to admit that my crime was senseless. it did not have to happen the way it did. I will always take full responsibility for my actions , and can never/will never minimize the severity of my recklessness. At 42, I am nowhere near that 18 year young teenager. I was so anger, hopeless, lost, due to unresolved wounds and traumatic situations. I experienced growing up in the 53206 area code. With God’s help. I have worked hard over the years to become the man I am today. I am not purpose driven to live righteously and determined to create ripple effects of positivity. I am truly rehabilitated, restored, and redeemed . I am so ready to contribute and give back to the society/community I took so much from. Bless me with that second chance- there is so much hope i have to share with so many youths and others that are hopeless and lost. who appeared very angry over or about certain events that had occurred at some party they had attended, in which they were involved in. (I was not at this party nor involved-in any events in reference to it, and overheard their conversation about these events) one of these men apparently mistook and believed me to be some person named "Peanut", despite the others in the group correcting him and telling him who I was known to be--("CC")--, and urging this guy to let's move on. But this guy refused to listen to the others, and continued on a course to follow and pursue me, even crossing the street, where I had done so. All of a a sudden I heard a girl yell; "That's my friend's Uncle Chris"!! The guy whose named I later found out to be "David" nevertheless continued to pursue and follow me, and about half-way down the block. This guy just grabbed me out of the blue, upon which time my cousin just happened to appear from around the corner of the block, as we lived in the area, upon which time I heard an unexpected gunshot. After the gunshot, everybody scattered somewhat, and my cousin Al,(My codefendant) began chasing this David guy who grabbed me, so I started chasing my cousin "Al" trying to understand what this was all about and talk to him. But My cousin "Al" chased the guy David and shot at him, and when Al finally caught up to David, and I to Al, David had a pole in his hand. Al told this David guy to put the pole down, but hé refused. I told my cousin Al that I didn't want anybody to die, but because David wouldn't drop the pole my Cousin Al shot him anyway. Later, I heard that David Died, but Didn't believe it until I seen it on the news, upon which time I set my mind on going to police about the incident due to the overwhelming gut pain and stress I was experiencing over what my cousin had done. I also never knew that my cousin had shot the guy David more than once until Police informed me so. 4) Health 5) Wellness 6) Housing 7) Employability. All Documents and information will be provided if needed upon request. 12. Not yet eligible for another 20 years! Dated This 23rd Day Of January 2019. 11. Number of parole hearings/ number and length of deferments: 10 parole hearings. The order of defers in months: 24; 48; 24; 24; 24; 24; 24; 24; 48; 48. 12. Official reason for denial/deferment: The nature of the crime and not having served sufficient time for punishment. Forty-Five years ago, I was a foolish man, now I am 72 years old, wiser, and a more compassionate man, who only wants to try and make a difference in the lives of our troubled youth and give something positive back to society. I realize that the pain and suffering I have caused, can never be undone But should there be a time for healing and compassion.. I am not a risk to the Public. 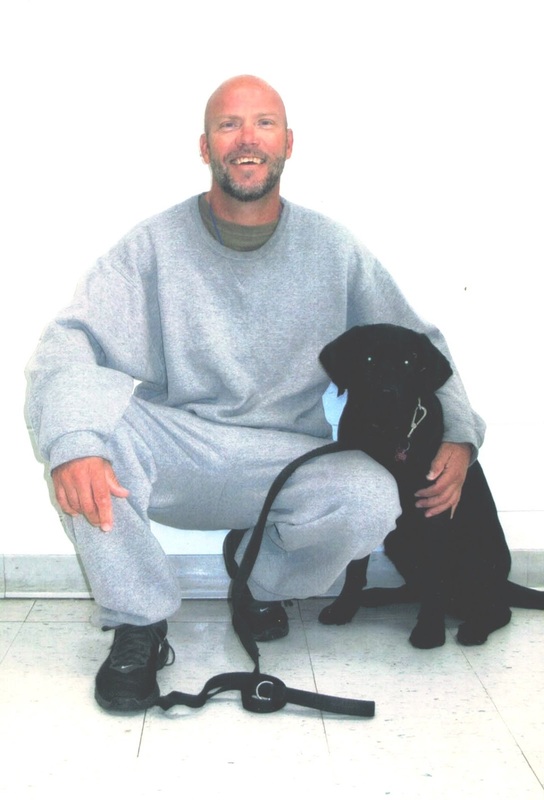 I am terminally ill, and I have done everything I can in a Correctional setting to make myself a better person. I would like to spend my last days giving back to society. Thank you in advance for any consideration you may give this request. Over 100 programs now and counting. Have been going to the parole board since 1985.My longest defer was just recent- 36 months. Was accepted by the Illinois Parole commission for an interstate parole. This was approved by Illinois he can also be paroled anywhere or stay in Wisconsin, Madison area. 5. While traveling with a female friend we were pulled over and I was ultimately charged with possession with intent to deliver a relatively small amount of drugs, approximately less than 50 grams where I was pulled out of my vehicle and stripped- searched on the side of the highway out in the open, while the deputy went in my under -wear. 11. 12. Under Truth In Sentencing, not Parole eligible/ 5 years in Already. 13. Numerous Verifiable Support Systems Mom-Angela Ard (773) 506-1817, Sister Veronica Brown, Who Controls and Manages My properties, Father-Charles Brown, Sr., Who Manages and Operates Our Family Businesses Which are "Browns Welding & Construction", and "Fast Eddie's Auto Repair Service".Any other documents needed to support the above will be provided upon request. Dated This23rd Day Of January 2019. 5. Brief Description of Offense: On March 30, 2009 I provided pills to a 16 year old girl and sexually assaulted her while she was asleep. The victim awoke to her pants being unzipped, unbuttoned, and folded back. She said that my hand was under her underwear in the front and she felt me remove my hand, no penetration was noted, she did tell the police that I had digitally penetrated her in the past. I was charged with 2nd degree sexual assault. 10. Programs Taken: GED, AA, Positive Living Skills Group, Coping With Incarceration Group, Was Baptized, Running Group, Grief Support Group, Pre Treatment For Addiction Group, Discovery Bible School. 13. Do you have a verifiable support group: Melody Becker-815547-6497, Rick Forstrom 906-771-4850,Joelleri Basso 906-236-5973, Tammy Hall 773-719-2189. 3. Date & age at incarceration: 4-18-1984/ 25 years old. 5. Offense description: Two (2) second degree sexual assault. Two (7) burglary. Two (2) intimidating victims, and One (1) criminal trespass of dwelling, repeater enhancement, and habitual criminal charges added to each charge. 1O. Programs taken: Completed Custodial Service and received a Degree from(Madison Area Technical College in 1999. ), Human Relation, Computer Literacy, Welding Technology Diploma, certified in the field of Arc Welding in 1980. I been on the waiting list for (S02) for 35 years now. (1) You have Not served sufficient time for punishment. (2) Your program participation has Not been satisfactory. Release at this time would involve an unreasonable risk to the public. 13. Do you have a verifiable support system? (Release support needs): I definitely have a verifiable support system, I am eligible for (SSI,1 will get an emergency loan from the (DOC) probation and parole to help pay for my basic living needs or necessities, and also medicade/medicare S-Care, all the while I stay with my family, and I also have $1.339.25 dollars in my release account to help lift the burden off of my family until I get my other resources started! and I'll work until I am unable if needed be-so I can get my own place. has repeatedly used this as a reason to deny me parole. Moreover, this program the (S02) is only a one year program. I should have been paroled 9 years ago pursuant to the parole pack guidelines under the old Law criteria. Mr. Evers, Transition team, and Staff, I have been patiently waiting for over 34 years to get in and out of this 1 year program the (S02) sexual treatment program so I can get out of prison to share my law abiding productive skills in general in our community and civilized society at large, I hope you all will investigate these matters, and assist me with my endeavors. Thank you all for your time, and your services. I was incarcerated for robbery and homicide. I take full responsibility for my actions and am under no illusions that freedom is a right. I can say for certain that I'm not the girl who walked in, and I readily admit that prison saved my life Without going into details that are decades old, I will say that when I got to Taycheedah I knew it was the opportunity to make changes. I didn't want to ever get to the point where I'd be considered for release and have nothing to show for my incarceration, except the length of time I had served. I served every day trying to become a better person. My efforts leaned toward education. I got involved in every educational opportunity I could, and though I worked full time throughout my incarceration, and still do, my goals were always geared to higher education. After much time and effort I graduated from the University Wisconsin system with a bachelor's degree in business administration. It was difficult, challenging, and worth it. When I completed my bachelor's degree I was allowed, encouraged even, to enroll in a vocational program that was offered at ICI. I completed the Office Software Applications vocational program through Moraine Park Technical College in 2016. I was interested in furthering my education beyond a bachelor's degree and decided to research master's degree programs It's very difficult for students to pursue college degrees in the Wisconsin prison system because of financing, the lack of online options, etc It was imperative that I find a master's program that was offered in a print based delivery. I was successful, and with the permission of the education director at Taycheedah at the time, Mr. Gary Grueter, I applied. After a lengthy process I was accepted. I was encouraged to enroll. It was even discussed at my parole hearing that August. Since then I've continued to progress through the program. My goal of course, is to graduate with a Masters in Business Administration (MBA). I will not fall short of that goal, whether it's on the inside or outside. My education has opened doors and offered opportunities, including being invited by a University of Oshkosh communications professor to co-author an article regarding the benefits of a higher education in the prison system. I happily took that on. We were thrilled to be chosen for publication. Our article will be published May 1, 2019 in the international journal Critical Education We're proud of our work and believe in the cause.
" My personal belief is that corrections serves two purposes: punishment and rehabilitation. It's a disservice to the taxpayers of this state to expect anything less. To use prison as a human warehouse is a waste of money, I believe Governor Evers sees that and will make efforts to roll back those policies." 2) Birthdate/Age Now: September 25 1969 - Age Now 49 yrs of age. 3)Date & Age at incarceration: Sentenced 12-02-97 at the age of 28 yrs old. 4) Years in prison: 21 years incarcerated and counting. (ct.1) 1st degree reckless homicide-party to a crime. (ct.2) Second degree reckless injury-party to a crime. (ct.3) possession of a fire arm by felon. 6)Lenqth of sentence: 56 years. 10)Proqrams taken: Cognitive intervention program - Anger management program Microsoft Excel-Access-Word and Power Point computer skills; Vocational Production Welding; Vocational Graphic Printing-Occupational success Strategies-Tutor Training Proliteracy of America. I have had 4 Parole hearings, 1st: 36 months - 2nd 30 months - 3rd 18 months and the 4th was 12 months. 12)Official reason for denial/deferment: "You have NOT served sufficient time for punishment." 13) I have developed an adequate plan and support system for my release. Statement :My ways to amend my past wrongs is to keep making positive change as an individual, I recognize that I can never undo my past actions. I’m embarrassed by the person I was in my past and the poor decisions, I will continue to change for the better. My ultimate purpose is to give back and maybe stop some young men from going down the path I did. Today I’m a different person than I was 21 years ago. 18 years I've been incarcerated and am in a medium security facility. 3 disciplinary tickets in that time. 2 program needs... Completed one and the other I can only take in minimum. I've voluntarily completed a laundry list of programs and am still involved in voluntarily taking them. I've been employed this whole 18yrs and when I wasn't working -I was programming. My family has been by my side since the day one of my incarceration and are still by my side. I'm a highschool graduate so, I have no school needs. I'm a father of two daughters and I have been involved in their lives this whole time and we are strong in our relationship. 5. Offense description: armed robbery. Two co-defendants and myself attempted to rob a a tavern in the city of Milwaukee. 6. Length Of sentence: Life plus 14 yrs. Parole Board/Commission since 1985, have received deferments for as low as 4 months and for as high as 12 months. My deferments have been elevated on occasions for no justifiable reason. 12.Official reason for denial/deferment: last deferral went from a 6 to an 11 because it was/still believed 1-hM- I have not served sufficient time for punishment and my release would pose an unreasonable risk to the public. 13. Do you have a verifiable support system? (Release support needs): Yes. I have earned an ample amount of funds through the work release program and have the support of family and friends. Although I was convicted of a very serious offense, I am not directly responsible for taking a life. I grew up in a very toxic environment on the South Side of Chicago. I dropped out of school before completing the eighth grade, but while in prison, I struggled to educate myself after realizing that my ending up in prison with a life sentence was directly related to my lack of education and the value of life. I am and shall always remain very remorseful over the role I played in the loss of life of another human being. If give the opportunity, I plan to reach out to my community and share my knowledge and experiences with young boys and girls so that they might be able to avoid spending their entire lives in prison as I have. These are not mere empty words, this is my life's mission and as I have tried to point out to all concerned, I don't believe a debt is by spending a certain amount of time in prison because some people have spent decades in prison only to get and accrue another debt by committing more crime. I believe a debt is paid when someone positively benefited from your time in prison and what you have to offer in terms of knowledge and experience. It is a debt that I look forward to paying. 5. Offense description :I was convicted for 2 counts of 1st degree Intentional Attempted Homicide and 4 counts of recklessly endangering safety while armed. No one died as a result of said crime. 6. Length of Sentence: I was sentenced to 60 years. 7. Current prison: I am being housed at New lisbon Correctional Inst. 10. I have successfully completed Anger Management, SUDS and T4C. I was given Carey Guides for the latter two groups because of my low Compas scores. I have an HSED, a degree in Building Maintenance and Care & a certificate in Shingle Installation. 11. I have been to the parole board 5 times. In 2010 I received a 24 month defer, in 2012 I received a 24 month defer, in 2014 I received a 24 month defer, in 2016 I received a 24 --month defer and in2018I received a 12 month defer. 12. Unsatisfactory group participation and insufficient amount of time served were the board's main reasons for denying my parole. For years DOC staffers would not allow me to take any groups once I left WCI due to the length of my sentence. 13. Yes I do have a verifiable support system. I have family in Kenosha, Chicago & Minnesota. I was sentenced by Judge Patricia McMahon. In my sentencing transcripts she issued out a criteria for release for me. I've completed everything she instructed me to do. I go back to the parole board January 22, 2019 or so. In a recent court ruling State v Baron Walker, Case No 1996CF960232, Assistant District Attorney Thomas Potter (ADA Potter) and Attorney Craig Mastantuono came to a consensus that Baron Walker's sentence should be modified. Judge McMahon's comments during sentencing'- constituted a new factor for the purpose of granting a hearing on the motion based upon the specific facts and circumstances involved. "You need extensive rehabilitation treatment but that needs to be in a secure setting so society's protected from your preying on them. And whether you accept that treatment or - not will have an impact on whether you will return to the community". Amondo's case is analogous to Walker's case in many aspects. Under the pre-TIS sentencing law in Wisconsin, Amondo would be eligible for release from prison on parole after serving 25% of his sentence See Wis. Stats 304.06 (1) (b) and 302.11 Generally, a Wisconsin inmate sentenced prior to TIS would be expected to complete rehabilitative programming in -prison in order to demonstrate fitness to be released after reaching parole eligibility. Prison is the only answer. We don’t really have an answer for this type of crime but prison certainly meets the needs for protection, and deterrence, at least for the period of time that you are in custody. Whether it will provide all of the rehabilitative needs this court can't answer that. Much of that depends upon you; what you decide to make of it, what you decide to do with your time and whether you will take advantage of what is offered in the institution... You will return to the community at some point. When and if you do is up to you and the changes you make... And to receive any rehabilitation that is appropriate. You are directed for appropriate educational training. Complete your GED or other education. Vocational needs, alcohol and drug treatment deemed appropriate.., there are opportunities in the institution to obtain additional education and vocational training that would be a benefit to you and the community at large. I have complied with the judge's instruction. Judge McMahon's statements during the sentencing hearings of Amondo and Walker are strikingly similar in nature, echoing warnings that how well they accepted treatment and rehabilitation in prison would bear on their release. Walker has been released but I am still in prison. Any assistance would be greatly appreciated. first degree intentional homicide/life sentence with parole eligibility after 65 years/HSED,computer class,waiting for AODA and voc. No programs yet because No programs offered at GBCI ( maximum), just made it to SCI. He has a verifiable support system-mother, siblings and many other relatives that will employ me through their businesses. "Driver" in particular, for delivery and transportation services. BD 1965, 53 y.o. ; age 31 when incarcerated-21 year in so far. My name is Steven AL. McCarver, DOC #131757.
age at incarceration: I was 32-years of age when I was incarcerated. Offense description:I have 3-counts; #1 Burglary, #2 Robbery, #3 Sexual Assault, all 3 counts stem from one act that took only about 5-minutes. 22-years also was added as Habitual Criminality. PMR/MR date: The Courts used two past minor tickets and one felony. That felony was for not returning to the (C.C.C.) work release center, after going out to look for a job. To enhance my sentence. All under P.M.R. P.M.R. date is 2060. My original parole eligibility date : 2013.
all completed during year of 2016. Denied Education and treatment programs: However, at each institution I went to, (Waupun & Redgranite) over the years, I was told, I had too much timed to my P.M.R. date and that I would not get into any Educational Trade Programs or Treatment Programs. I even went 13-years without any kind of tickets. To be told that I must wait until I'm within a year of my M.R. date before I can take my needed program; took all the hope I had. I've been told by the P.R.C. Committee that I am here just to do my time. Number of parole hearings and length of deferments. First parole hearing was 2013; one minor ticket between 200 and 2013, even with all my program completion, I was still given a 3-year deferment. Second parole hearing, was 2016, 2-Pre-Release Programs, and keeping a job while at R.G.C.I. I was given a 6-year deferment. Official Reason for Denial & Deferment; First Parole denial & deferment is because, program participation has not been satisfactory. Still a risk to the public at this time, have not served sufficient time for punishment. Second denial & deferment was, two more tickets, adjustment time, criminal history and nature of crime, unmet treatment needs, age, clear risk to public, have not served sufficient time for punishment; Do I have a verifiable support system? Yes, I do. However, over the years they also have lost hope. I have 7-grown kids and step-kids, 2-Brothers, Kids Mother, Mother, and I return to my church. I would like to say, I have no other sexual assault convictions, my victim was not penetrated, and the crime in whole was only 5-minutes. I am not trying to depreciate my crime, cause I know what I did was truly horrific to my victim and her family, and that shame will be with me to my death. I tried everything in my power to show everyone that I have changed and that I am ready for another chance. Any man who commits another felony crime, after doing as much time as I have, after given a second chance, is not worthy of another chance. I am asking for a Second Chance. 12. Official reason for denial/deferment: That Your program participation has NOT been satisfactory; Release at this time would involve an unreasonable risk to the public and You have NOT served sufficient time for punishment. I do have a verifiable support system. I have family and friends who will help provide support upon my release. This is my 1st Adult incarceration and I have never been incarcerated as a Juvenile. I have been constantly denied parole even though I have done everything asked of me. It is only because of prison Rules and Policies that don't allow inmates to be enrolled-in our programs until we are 3 to 1 year of being released (M.R.) or that we get a Recommendation by the Parole Board, that I haven't completed the SO-2 program. Even though I was endorsed by the Parole Board to be enrolled into the SO-2 program at my last Parole hearing, with a recommendation that R.G.C.I. officials transfer me out to a prison that can enroll me into the program, and will allow me to have it completed prior to my seeing the Parole Board again in August 2019; the R.G.C.I., Program Review Committee refused my request for a early P.R.C. hearing, to be transferred out to a Prison that could have me enrolled right away. The P.R.C. justification was that I could do the program here at R.G.C.I., whenever it comes available, while knowing that R.G.C.I., will not have the program available until sometime in July 2019; One month before I am due to see the Parole Board again. This is contrary to the Parole Board objective, so they have in essence turned a 10 month defer into a 18 month defer, because the program takes 9 months to complete, which if I'm enrolled into the program, in July 2019 I won't be done completed until sometime around April 2020. I accept responsibility for my participation in my crimes, and I know if I'm released that I will never see the inside of a prison cell again. I have made dramatic changes in my life and I am not the same person I was 30 years ago. I have done more time than men who have committed Murder and been back to prison on 3 or 6 separate occasions. I was young and very immature when I was incarcerated and I've learned how to value life and the life a well being of others. I've hurt my victims, my family, my children and friends, and above all I hurt myself, and not a moment goes by that I don't regret the poor choices I made and God knows I wish I could change them, but I know that's not possible, but what I can change is my future and help youths to avoid making the same mistakes I made in my adolescence. All I ask is for a opportunity. I can complete the SO-2 program on the streets they have classes in Beaver Dam and other places. I score low on the COMPAS DAI Legacy test, which showed I would more than likely never recommit the crime. I pray that you will consider giving me the opportunity to show you that it's true. Thanks for your time, services and considerations. 5. Offense description: Armed Robbery [*943.32(2)], Kidnapping [.940.31(1) (A) 1, 1943.23(lr)Carjacking Resulting in Death. This last charge has been Abolished by the 2001 Wis. Act 109, and repealed §943.23(lr) Car-jacking Resulting in Death & moved this provision to Wis. Stats. *940.03 as recommended by the Final Report of the Criminal Penalties Study Committee. This change gave me life. 10. Programs taken: Blueprint reading certificate from Moraine Park Tech. college, Coping Skills Program Certificate of W C I Seg Complex; ( Cognitive Intervention Program Certificate of W C I; Certified Forklift Operator, The Head Barber here. 11. Number Of parole hearings/ number and length of deferments: Haven't been yet. 12. Official reason for denial/deferment: Haven't been to Parole yet. 13. Do you have a verifiable support system? (Release support need):My children are and their mothers are pillars in the community & have prominent jobs whereas I'm able to utilizes my certificates I've obtained during my rehabilitation. 10-15-15, I took COMPAS legacy Assessment Risk Scales & the result was I was Low in Violent Recidivism Risk. I have all paper work spoken of if copies are needed for any relief on my Behalf. THANKS!! Somkhith Neuaone 268954 SCI BD 1974, is 44 Y.o. Ronald Schmitt 36239 SCI 74 y.o. I've served over twice the amount of time (45%) set forth by this State Statue stated above. 1. Past criminal history (which will never change)..
13. Last major Conduct Report on file was in 1989 (some 30 years ago). 14. I have favorable parole plans to live with my sister Judy Yates and family in Wagoner, South Carolina. My Value Doesn't Decrease Based Upon My Parole commissioners Inability to See My Worth. I pray that I won't run out of life before I run out of what time I have left to serve, so I that I can die at home with loved ones. Please Governor Evers don't let my success story go to my grave with me. There is no “wrong" time to do what is "right the interest of justice. .
Robert Stordeur 155464, FLCI ; BD 12 14 58. 60 YO;incarcerated in 84 at age 25 for 1st and 2nd degree murder; has taken many programs;has family to go home to. 4. Years in prison: 34 yrs. 5 mo. 13 Do you have a verifiable support system? (Release support need) I have a support system to live with my Mother and/or other family members. Need to be sure I have Health Insurance and a drivers license. He was the get away driver for a string of robberies in which a store clerk was killed. He ws sentenced to 100 years.His first parole date is 1 11 21. Has taken many programs, has no program needs left and has excellent behavior record .He had no prior arrest and no juvenile record, attended high school and 1 2/2 years of college. Wonders why he is doing more time for being a gettaway driver than someone who does first degree intentional homicide. BD 1970;48 yrs old;age and date at incarceration; in almost 31 years. Cty Jail in May of 89 and was recaptured in 48 hours. Length of sentence:2 consecutive Life sentences and 2 yrs CS to all. Statement: I'm hopeful that change is in the air with out new governor taking office, but am also realistic as it applies to my own situation. I thank you for being a voice for us when we don't feel like anyone listens to us ever. 3)Date & Age at Incarceration:incarcerated 1 24 97, 36 y.o. 12.) Official reason for denial/deferment not taking responsibility for my actions, despite letters to parole commission, Ms LaCost, and chairman Sandberg, taking responsibility. 13. )Do you have a verifiable support system? Release support needs: Yes , I have a family whose always been in my life both spiritually emotionally and financially. My sister, Darlene Chesir has made it perfectly clear that I'm to stay in her up-stairs unit upon my possible release. I also have job, marketable skills, construction, machinery, assembly, food service, clothing, laundry. 2)DOB 7 12 79l, now 39 Y.o. 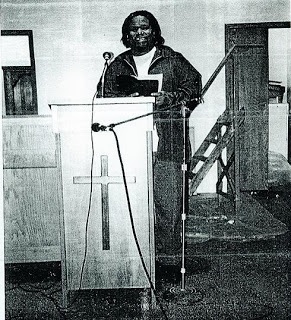 3)I came to prison on September 11 ,1997 at the time I was 18 years old. 4)I have been in prison21 yrs. 3 months and 8 days. 5)I haphazardly shot someone while fleeing a scene of a robbery. Also possession of THC ( marijuana) with intent to sell. 10) programs taken: Anger management. AODA< CGIP, Restorative Justice, project citizen; grief support, inside out Dads ( presently); got purpose ( presently), issues incarceration.2017 crime victim awareness week; anger control, AA, scared straight, 2 prison fellowship seminars. 11) Jobs: lead Baker ( presently), special needs worker, Janitor, chapel clerk , laundry, kitchen. server, community service crochet, community service teddy bear, BSI printing. Jobs in prison: lead Baker ( presently), special needs worker, Janitor, chapel clerk , laundry, kitchen. server, community service crochet, community service teddy bear, BSI printing. You have not served enough time for punishment/ release would involve an undue risk to the public. Lamont was convicted 1993,saw parole board first time in 2017 after serving 25 years and was endorsed for AODA, his final program. This program he completed in April 2018. He then got a conduct report for excessive phone use and he walked off in disgust when told he was receiving a CR , This conduct then was the main subject of the parole hearing- as “aggression: and was used to deny his parole. The letter below explains this and more. He has completed his programs, schooling and vocations. He is a certified RVA(?) and PCA(?) and has tutored a Microsoft office program. He became deeply involved in the PAWS program and training puppies and has maintained a job “throughout this struggle”. He tutors in JCI for AODA, T4C, anger management, and social skills . He tried to enroll in a veterinary technology program and was denied because he is in prison and wonders what he can do now? “Clearly the thought of redemption and second chances are laughable matters in Wisconsin. It has not been lost in my mind that I killed someone. I am deeply apologetic for destroying the familial bond amongst both our loved ones. as well as the trust in the community. I am empathetic and sympathetic to this situation. And as a juvenile, I messed up, As a grown man, I’m looking to pay my debts to society while walking amongst the community instead of being lock up as a monster. I've seen the parole board 6 times, each time getting 24 month defer. working on verifiable support system. Offense description: the victim and myself got into an argument in regards to a family member if mine ,co-defendant had stabbed victim in the chest , told the police I hit the victim with a bat, which I have always denied- no evidence of that. Hatchet was shot because he robbed my family member. institutional conduct satisfactory, then unsatisfactory, have adequate release plan. Ivy J Carter 206034;RGCI; BD11-10-72 (46); Date and age at incarceration: 11-24-91 (19) ; 27 years in prison. Offence:Party to a crime of first degree Intentional Homicide. Victim caught in cross fire between two groups from different neighborhoods. I was the only on charged and convicted. Intro to his plea below: "If ever we scheduled for release are to feel ourselves a part of the whole inwardly, all involved must understand much is involved in fulfilling this condition. This connectedness must be developed through Something outwardly! If we're not ,then, like a painter who remains idle, disreguard withholds the life force formlessly. Hindered by such our lives take on act of expendability. I'm a 48 yr old male born 2/1970. I've been in prisons my whole adult life except 8 months.Currently since 1997 for my current offense of armed robbery with a broken BBgun. After weeks out of work my girl friend and myself were living out of my car when she told me she was pregnant with our child and needed to see the doctor soon. I've actually been incarcerated for the past 2l years.In the year of 1998, I was convicted of 1st degree homicide, but at the time I was suffering severely from PTSD. The attorney at the time, Mr. Peter Kovac, had access to this information but never brought it before the courts. 5. Brief description of offense. Possession of firearm, possess w/intent-Cocaine, possess w/intent- THC, possess w/intent- drug. 12.official reason for denial and deferment none. 13. Verifiable support system mother Velma Jones and my friend and my church. five times now. Three 24 month defers and two 12 month defers. but all have completed program for my offense. All I know is it still hurts that my two boys have grown up with out me these past fourteen and a half years and hope to be released some day. Oh also I am no longer a 980 candidate. Thanks so much for you passion to help us and hope to hear from you about this. God bless. Respectfully, Dwight Feilbach. due to my frequent travel between Illinois and Wisconsin, to be with my wife, and children I had from a previous relationship. Upon return to establishment, and while leaving being half out the door, bartender pursued me with a glass ashtray as if he was about to hit me in the Back of the head with it and I swung back wildly to get him off me so that I could continue to get out of there as I had already been attacked and sucker-punched once when not looking earlier after breaking up initial fight.. In my swinging back wildly while half out the door, coupled with the victim’s momentum in chasing me with the glass ashtray, he ran into the knife and unfortunately died. Even the medical examiner said he ran into the knife. I kept a knife at my side for cutting plastic ties off newspaper bundles at the recycling plant. A guy in the same county, same D.A.s got only 10 gears for virtually identical facts with the exception of location. He was White. I got 35 years. I'm black. I never meant to take a life, I was just trying to defend myself, and thought the guy who attacked me the first time was the bartender, even though the bar tender's boss thought the bartender intended to follow me outside and fight me Many prison officials feel and have told me that they don't feel I should've received the harsh sentence I received due the facts and circumstances of my case. 10. Programs Taken :Violent Restorative Justice, SUDS, AA, Self-Help; Beginners and Advanced Computer Microsoft Voc. Ed. ; Textiles, BSI Textiles Machine Mechanic, BSI Printshop, Blackstone College Mail Paralegal correspondence course (Accredited) Meditation, AODA (participated, but cancelled before I finished); GED and 1 semester of College prior to incarceration. 12. Not yet eligible for 10 more years, have served 26 years already. (920)572-0978; Biological Mom who rents properties:Linnie Powell Ph.-#(601)894-5066 God parents Ph.#(715)374-2406; Jobs, and transportation, and housing amply available to me if released. If any further information or documents in support of all the above is needed or necessary for verification, will provide upon request. Feel free to contact any of above referenced support system individuals listed. Dated this 16th day of January 2019. 13 Do you have a verifiable support system? (Release support needs) I have three nieces, I have no other needs. I filled out this form the best that I could, the way these people are doing things in here with no programs or nothing else to but dead time is just crazy I just got down here from Waupun after 26 years in there, and all these people are talking about is how long a person is here before they send you on, I was suppose to be going to Racine (RCI) and they drop me off here, there's no need to say that I'm mad about it, don't like this place, to many petty rule's, more so then Waupun. 5. Brief Description of offense: While serving a six year sentence for burglary I was PRC'D to DACC as a permanent placement need. That is without any treatment needs. Another inmate and I escaped on 9/29/96 with the help of my girlfriend. Later that night we strangled her and left her body in the woods. We stole her car and credit cards. 10. Programs Taken: HSED,Vocational Printing,Restrative Justice, Tutor Training,Thinking For Change, Currently Working with Two Law students and Restorative Justice to have a face-to- face meeting with my victim’s oldest daughter at her request. 12. Next parole hearing: I waived it in November in hopes to complete this meeting with my victim’s daughter before seeing them. age and date of incarceration 26 years in prison, in since age 28. Off Description: In 1988 found guilty under WI stat 913.10 (10(a), 940.225 (2) (a) and 939,62 (1) (6) for the act of revenge against someone who had set my spouse up to be assaulted. Programs taken: domestic violence, alcohol and drug treatment, SOT, anger managemet. Cognitive intervention; T4C. Denied parole :insufficient time served. 13. Do you have a verifiable support group: Melody Becker-815547-6497, Rick Forstrom 906-771-4850,Joelleri Basso906-236-5973, Tammy Hall 773-719-2189.
date and age at incarceration: 2 29 96- 20 Y.O. 3- 36 months, 18 months, and 12 months. has verifiable support system upon release:" I have done everything within my power to secure my release, but keep getting repeatedly kicked in the teeth for no justifiable reason. 5. Offense description: I was attacked by a man with a knife. I fought for my life and caused the death of James Yearous. 6. I was sentenced to life imprisonment as a result of a misunderstood plea to the charge of 1st dgr. intentional homicide. I believed that I would be home after serving thirteen years, which turned out to be when I would be eligible for parole. 8. I have no MR or PMR date. My sentence is for Life with the eligibility for parole. 9. Parole eligibility after 13 years, (2011). -Vocational courses: Small Business Management, Wood Technology, Core curricula (prerequisite to carpentry), Building maintenance & Construction, and currently taking Microsoft Office here at Stanley. -Academic correspondence courses with UW-Platteville (6 credits), and Adam's State University-Colorado (12 credits). -Along with many other things that I've volunteered for to enrich my life and occupy my time in a constructive manner. 11. 1st parole defer, 48 months. 2nd parole defer, 45 months. I will be seeing parole for the third time sometime early this year. 12. Official reasons for denial was "not enough time served" and "potential threat to the community". 13. Yes, I have a verifiable support system. My family awaits my return and my spouse awaits our marriage. I'm healthy, willing and able to work. Statement: Long ago I realized that taking a life was wrong. I realized also that the way I was living in my youth was wrong. I'm sorry for that. I wish there was something I could do, short of more time in prison, that could address the debt of causing the death of another human being. I've been in prison now longer l than I was alive before I came to prison. I'm humbled by the grace of God and can only ask for another chance to live life beyond these walls. Statement summary : I have been incarcerated for over 20 years now and have been in a minimum for almost 15 years. The PRC Board gave me a 10 year override while I was in Columbia Correctional Inst. in 2004 and I have been in minimum since then. I feel that with my positive institution adjustment I should at least be in a secure minimum institution working my way through the system in order for me to properly reenter the community. While at my last PRC I was told that the only way I could get to a minimum institution was that the parole board would have to recommend it. But PRC can recommend me because they gave me the override to Stanley 15 years ago. 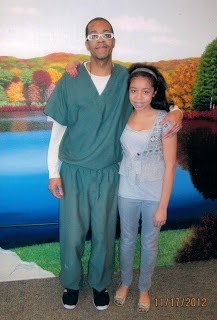 His first parole hearing was 1 1 2017 and he was deferred for 60 months. The reason give was : Unmet treatment /offense related and the need for further monitoring. Public perception/risk to the public. His family will support him upon release. Introduction to form below: I decided to fill out the form and sent it because I am not NOW a violent offender. I committed my crime 23 years ago when I was a lost 16 year old kid. I am a 40 year old man now. I have been doing all of the programs that the WDOC will let me do. I have been meeting with the woman I shot on November 4th, 1995 at least once per year, Jackie Millar, through the Restorative Justice Project at the UW- Madison Law school and I figured that if she can forgive me and see me as a human being maybe the new Tony Evers government can as well . The judge gave me boot camp but Wisconsin law indicated violence cases can't receive boot camp which would have reduced my sentence. He has a verifiable support system" " I work with Wisconsin Anti-violence effort to help end gun violence, my family support my stop gun violence speaks for kids. Yes, I've a hope to do to and job set up. 9)reason for denial is that he is still at Maximum prison. "PRC never sends me to minimum because of past behavior"
10)Support after release: Has family support and have trade skills and is able to work. I'm aware of the seriousness of my taking Rubry's life and I've take responsibility for my actions. I believe in my heart that I'm a better person today than I was many years ago. I've greatly underestimated how much freedom , life and family truly mean to me. I’ve had time to change my ways of thinking and even been working in the community to show I’m ready for another chance to be free and live responsibly. So I ask you Governor Evers to give me a second chance. My name is Jeffrey Lamont Watson, Sr. (DOC 124344), dob 6-13-65. I am currently 53 years old. I was arrested October of 1996, at the Jeffrey Lamont Watson, Sr. age of 31. I have been in prison for 22 years, 3 months. My charges are armed robbery and attempted armed robbery, with a knife. For the armed robbery I was sentenced to 40 years and the attempted robber for 20 years, both the maximum allowable sentences. I also got 3 years and 8 months and 15 days for revocation. My custody level is medium here at Redgranite. My M.R. is 2039 and P.M.R. is applied. My eligibility for parole was after 15 years. 60 months to inmates off the bat, with my kind of time (long), but because of my attitude and excellent behavior a 36 was appropriate. Next time a defer of 18 was given. The 3rd hearing I received a 24 from the examiner, then the chairman increased it further to 36 after my custody level was raised because of 3 major tickets (misuse of prescription medication) within 6 weeks. I became addicted to a med prescribed for anxiety, till then, I hadn't had a major ticket for close to 10-1/2 years. At a December 2018 hearing I received a defer of 12 down from the 36. The reasons for denial of a grant for parole were the same; unreasonable risk to public because I hadn't taken program (CGI) 'currently "Thinking for change," which is now no longer needed according to Compass scores. Note: the reason I couldn't take the program because of the policy inmates must be within 1 year of release before allowed to participate. endorsement in-order for me to be lowered in custody and I'm not a lifer," she, Ms. Bauer replied "It's policy." I asked "written policy," and she replied, "No." mental health work done at Wisconsin Resource Center (WRC) with counselors instructors, programs, etc. that are made up of my "tools" I use in everyday life. As you might not expect, mine is a story of joy ... after a positive urinalysis for THC in 1998, as a consequence, it used to be you received 3 days in seg. (GBCI) but I received 60 days no-contact visits (visit through glass). The same or next day I received a visit and instead of going right into the visiting room, I had to turn left, into a room similar to county jail visiting, where my wife and young son (4-1/2-5 yrs) were waiting. He, Jeffrey Jr. was standing on the arm-rest and when seeing me he asked, "Daddy how come I can't hug you?" I looked at my wife, who had a look I've never seen before, best described as anguish. I replied,. "Daddy was bad," again he spoke, "What did you do Daddy?" again I looked at my wife, same expression, I told him, "Don't worry Daddy will not do it again." In those moments I realized my actions/ consequences there of, have a "ripple affect." I had never "seen" or "heard" those radiating outward ripples from my wake until that day! That moment! A committed decision to change was made in those moments. Some 20 years later I have worked hard, with constant fears of regret of those left in my wake then many years ago. their parting, "We're proud of you all" Ten (10) years later after falling down a few times, the difference being, as God guides, a deepening awareness of myself (perceptions) and that journey of myself is a joy, truly, never to let a door close on a skeleton in the closet. That is liberating! The vulnerability without the mask is pretty cool because its honest and pure. In our lives everything good has an opportunity when allowed by conscious awareness to usher in peace of mind and heart. My support systems range from uncles, cousins, sons, aunts who would gladly lend me a couch for 60-180 days or more, to community resources and of the giving back of my experiences which wisdom is now attached. I beg as you review-my plea that staff (bosses, teachers, counselors, GO's, etc.) at every institution where possible, actually be spoken to, to view me, Jeffrey L. Watson, Sr., from a few sheets of paper is unfair and impractical. Social workers do not see day-to-day exchanges in social situations as other staff. 13. I served--20 years in the US Army and will be housed at VA Care Home,and my two sons will also help me with any living issues that arise. I am bound to my wheelchair with an Oxygen tank as I have COPD Lev-4 (the last level before death). I have had several heart inplants/stints and am diabetic with poor health issues trying to gain compassionate release. Thank you in advance for your help in this matter.